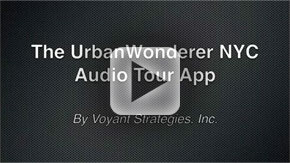 Watch Our Demo On YouTube! 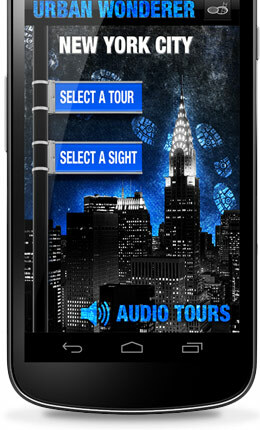 are the perfect self-guided way to discover New York City. 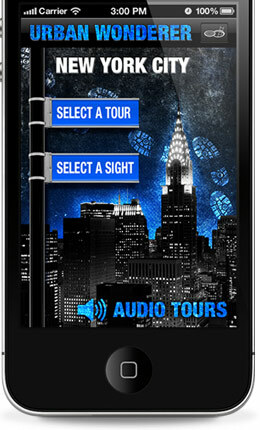 This free iPhone and Android app offers a wealth of in-depth, and often inside, information on the sights, the neighborhoods, the restaurants, and the nightlife that make this city great, and new tours are added regularly. Our film and TV locations tours have become very popular, so we've given the user the ability to focus on their favorite types of films: comedies, dramas, sci-fi, even films by NY-centric directors like Woody Allen. UW's new ‘Theme' feature lets you 'dial up' the types of shooting locations you'd most like to visit.